Two weeks old! We are two weeks into the New Year 2018 and I am needing a challenge. My race calendar is empty this winter and I need something to motivate myself to improve my fitness…so…I am going to challenge myself! How about you? Will you take the next two weeks, until the end of January to challenge yourself to do some physical activity or exercise every day? Because I want to improve my fast twitch muscle fibers, I will be doing a burpees and jump rope challenge. I make up the rules for my challenge. And you may make up the rules for your challenge too. Starting today I will do 10 burpees every day (consecutively) and add one burpee each day thereafter. Additionally, I want to improve my stamina and coordination so today I also began my jump rope challenge. I jumped for 30 seconds without stopping or tripping on my rope. Each day hereafter I will add 10 seconds to my jump rope routine. If needed, I will take an active recovery day from my challenge every fourth day, which means I will only do 10 burpees and 30 seconds of jump rope on those days. So what do you think? 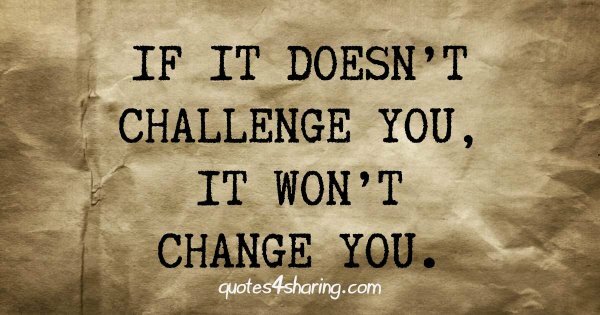 Is there something you want to challenge yourself to do? This is the perfect time of year to begin a new fitness routine. There are many ways to challenge yourself, whether you strive for a fitness goal or strive to improve your creative abilities. Just give yourself a goal that is measurable in seconds; minutes; repetitions; steps walked or run; pounds lost (fat) or gained (muscle); etc. The sky is the limit so be creative and have fun with your new year challenge. You’ll find some links to exercise/fitness challenges below this post. Let me know how you are doing as we go through these next fifteen days together!